So looking forward to all your cheats!!! I have the magazine, so thats a start! I would love to sew along, but I find that I usually fall behind in these QALs when other timely commitments get in the way. 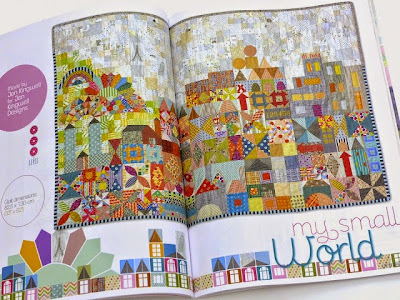 But I do so want to make this quilt! I'm trying to find the right fabrics to make mine special. I will enjoy seeing what everyone else makes though! I am fusing, what a great idea about the cheater print, i am off to check my stash. Yes, I'm in. Looking forward to the challenge of learning new techniques. Loving the posts I have seen so far. I'm in. 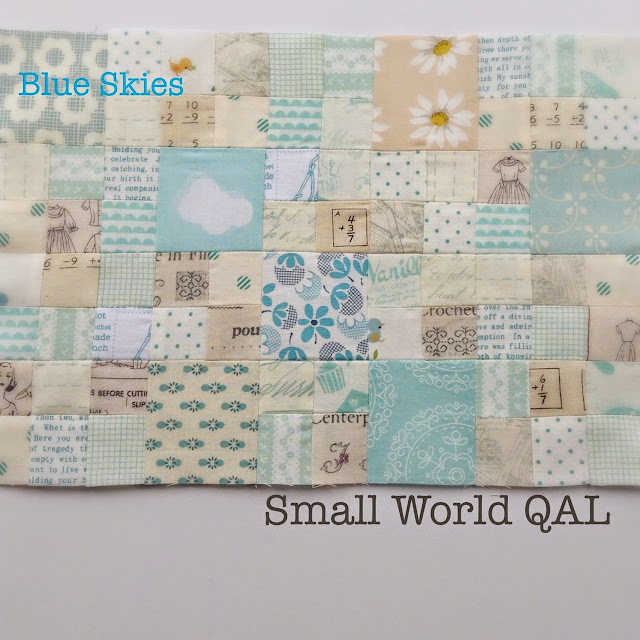 This is my first QAL and I am really excited about it. I love your idea about the cheats (I'm all for making life easier) and I also want to incorporate some little personal touches, maybe kids names, initials etc. into the quilt. 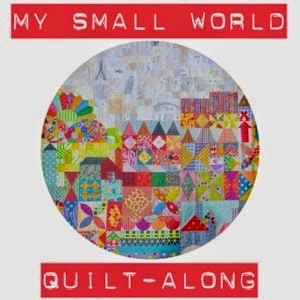 It is called "my" small world quilt after all :) Can't wait to see everyone's quilts. 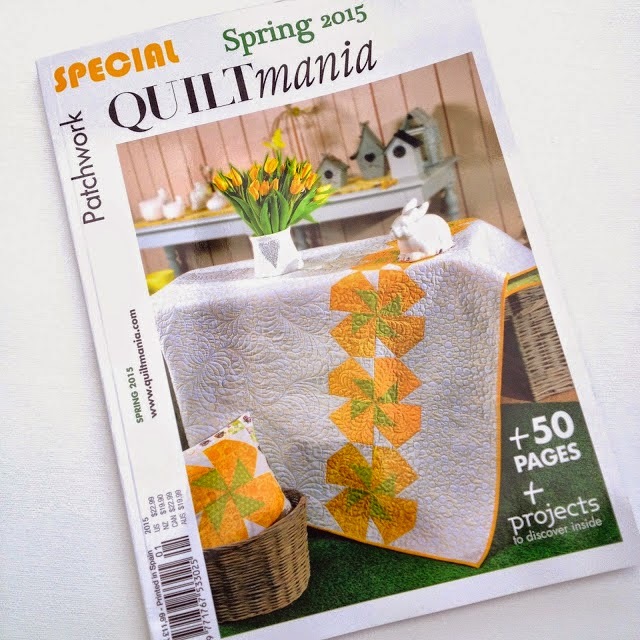 Love this pattern and the non-commercial vibe of this QAL! Would love to join the QAL but here's the thing... I am having trouble finding the pattern/issue in the US. I have tried the links and shops provided and have been unsuccessful (thank you for sharing though!). The only place I could find Quilt Mania was through their website, but it is unclear if this is a digital or paper copy. I fear a paper copy will take a while to arrive, leaving me in the dust. Has anyone in the US had luck finding a copy without having a standing subscription? I am sure I am not alone! Hey John, can you tell me which blocks you're referring to as being specifically EPP? I may approach construction differently, as I'm headed on a long trip to Europe and I want to take some hand work with me. It doesn't look like the instructions indicate anything other than machine piecing or appliqué. Thanks! Im a writer and wiritng posts and article is my desirable job. I can offer to make a blog at any topic with desirable content or even an infographic at Writers Per Hour. I would be pleased if you visit me site. Very nicely written post, I do appreciate his information. I will be looking forward to read more posts here. By the way I have found that it is possible to find competent writers with the help of fair resume services review company, I think that is great.